A generous sized modular L shaped sofa that come in a variety of sizes. 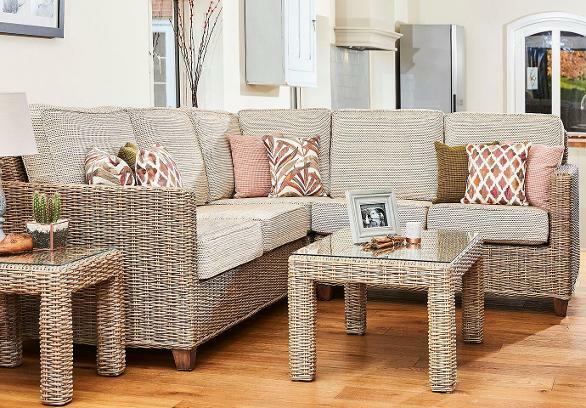 The contemporary straight lines of Natural Kubu Effect frame contrast against the exceedingly soft cushions, to provide that extra indulgence of comfort that every home needs. Other accessories for this range can be found in the Abington collection, such as Dining and occasional tables. The Ascot tables are also a good accompaniment to this range. In addition to the Daro collection of fabrics this range is also available in Daro's exclusive Laura Ashley fabric range.